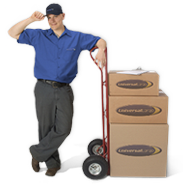 The excellence of its service has allowed Universal Cargo during all these years to be part of the most important international moving companies, which not only ensure excellence locally, but also uphold high standards in a global network that guarantees constant quality performance at every step of the moving process. In 2000 Universal Cargo was the first Latin American moving company to receive the FAIM/ISO certificate granted by FIDI (Federation Internationale Demenageurs Internationaux). FIDI, the most established moving federation in the world, is based in Brussels and only a select group of companies belongs to it. Today our company ranks amongst the world's most admired Move Management Enterprises with a reputation for quality that has been acknowledged the world over. Continuous efforts in developing its human resources, implementing IT solutions, incorporating state-of the-art packing procedures and investing in equipment and facilities never changed Universal Cargo's main objective, the same one that gave birth to the company back in 1983: to simplify people's lives.